The first Queensland fruit fly was found in Devonport on February 14. No more fruit flies have been found on Auckland's North Shore and controls on the movement of fruit and vegetables have been lifted. Biosecurity New Zealand said the decision came after weeks of "intensive trapping" and inspecting hundreds of kilograms of fruit. The last fruit fly was found almost a month ago in Northcote. The first was found in Devonport on February 14 and a further nine were found throughout Auckland. Six were found in Northcote, one in Devonport, and three in Ōtara. Biosecurity NZ will remove signage and bins from Northcote on Auckland's North Shore in the coming days. 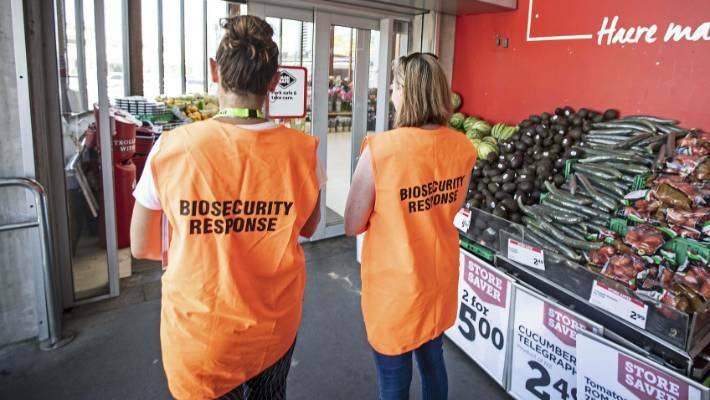 Biosecurity NZ said in Northcote, teams had removed fallen fruit from residents' backyards, inspected compost bins, and placed bait on fruit trees to attract the flies. "With no further finds, we are confident that there are no breeding populations of Queensland fruit fly in the Northcote area, and because of that, the controlled area notices can be lifted today," head of Biosecurity NZ Roger Smith said on Friday. "All operational activities, including baiting, have been completed. However, as a precautionary measure, we will be keeping in place an enhanced network of fruit fly traps for an extended period. "If fruit flies are present, these traps will detect them." Smith thanked residents and businesses in the affected areas for their patience. "Residents in the affected areas of Northcote, Devonport, and Ōtara have been incredibly supportive and patient with not only the movement restrictions but also the regular checking of traps on fruiting plants in their gardens and we're extremely grateful for the support." Biosecurity NZ signs and bins would be removed from Northcote in the coming days. February 14 - Single male Queensland fruit fly located in Devonport, on the North Shore. 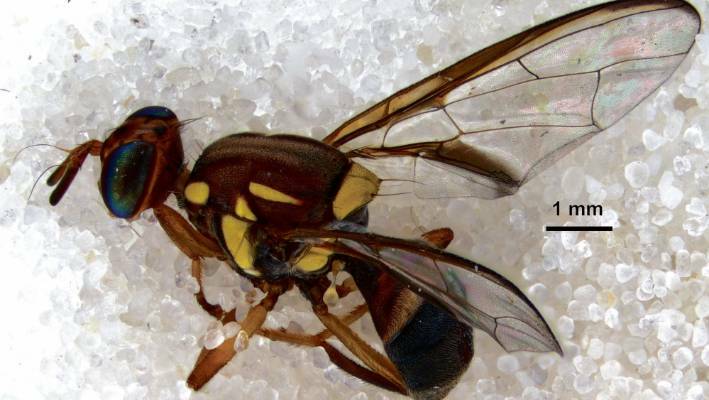 February 18 - A different type of fruit fly, a male facialis, discovered in Ōtara, south Auckland. February 20 - Another single male Queensland fruit fly found on the North Shore, this time in Northcote. February 21 - A second single male facialis detected in Ōtara, only 70 metres from the first find. February 25 - Another single Queensland fruit fly found in Northcote. February 28 – A third single male Queensland fruit fly detected in Northcote, 270 metres from where the last was found. March 4 – A fourth male Queensland fruit fly detected in Northcote, approximately 80 metres from where the last was found. March 5 - A third single male facialis detected in Ōtara, 630 metres to the north of the last find. March 15 - Two more single male Queensland fruit flies found in Northcote.